The Great Texas RINO Hunt confirmed the bagging of former Republican Senator Kip Averitt of Waco today with the withdrawal of Democrat nominee John Cullar from the Senate District 22 race. Republican Brian Birdwell was elected to the Texas Senate to fill the vacancy of Averitt and had been nominated to the November ballot by the SD22 Executive Committee. Cullar, a Waco trial lawyer, and the Texas Democrat Party tried to overturn voter responses in electing Birdwell with an attempt to remove Birdwell from the November ballot. Counting on a traditional Democrat ploy of over-riding the voters through the courts, they filed suit against Birdwell on August 6, challenging his eligibility. Originally filed in Tarrant County, it was kicked over to the Dallas Fifth Court of Appeals. Questions had surrounded Birdwell’s qualifications to be on the ballot based upon his voting records in Virginia. Birdwell had always maintained he met the state’s requirements based upon his intent to return to Texas and the steps he had taken to ensure this. After a week of both sides trading arguments, the Dallas Fifth Court of Appeals slammed the door on Cullar and the Dem’s by rejecting the petition. The Court also handed the bill on the affair to Cullar and the Texas Dems – sending a loud message to other liberal attempts at taking politics through the courts and not the ballot box. Cullar’s withdrawal today confirms his nomination by the Democrats (dem old rats!) was nothing but a sham. Birdwell will be re-elected in November without challenge. What began over a year ago to displace one of Texas’s most notorious RINO’s in Averitt is now complete. In an election cycle that has had most attention focused on federal candidates, and for good reason, Texans can now officially claim that RINO season is now underway in Texas politics. Averitt’s replacement may have been the first in Texas, but his will not be the last. Republicans Vicki Truitt, Todd Smith, and Charlie Geren (part of the Texas Gang of 11 that booted former Texas Speaker of the House Tom Craddick) all had contested primaries by political new comers dissatisfied with their voting records that were competitive in the races. Look for these Reps to change their ways or earn more challenges in 2012. Geren is almost guaranteed for a challenge because of his role with the Gang of 11. Texas has a whole host of Republicans in Name Only’s that ran uncontested this year, but are certain to come under fire in 2012. None are more deserving than the aforementioned Texas Gang of 11 for what has happened in the Texas House. The Texas Gang of 11 are the following – state Rep. Jim Pitts, R-Waxahachie; state Rep. Brian McCall, R-Plano; state Rep. Byron Cook, R-Corsicana; state Rep. Charlie Geren, R-Fort Worth; state Rep. Tommy Merritt, R-Longview; state Rep. Delwin Jones, R-Lubbock; state Rep. Edmund Kuempel, R-Seguin; state Rep. Jim Keffer, R-Eastland; state Rep. Rob Eissler, R-The Woodlands; state Rep. Burt Solomons, R-Carrollton; and current Speaker Straus. On January 2, 2009 these turncoats met at Byron Cook’s home and effectively came up with replacing then Speaker Tom Craddick with Joe Strauss. Craddick was cast in the mold of former US House Speaker Tom Delay and was the Texas Hammer. Craddick ran a conservative ship and it drove the Dems crazy. The Gang of 11 set up Strauss to be Speaker is exchange for Democrat support. Hmm – how well did that work out this last session? This past session saw more Democrat delay tactics to Republican bills (most notably Voter ID) and a watering down of the conservative agenda. Strauss has also been seen at Democrat fundraisers ( http://smmercury.com/archives/13193 ). Additionally, Strauss’ voting record is less than stellar. Like Averitt was to the Texas Senate, Strauss is to the Texas House. Liberal Republican Joe Straus. If you vote for 3rd trimester abortions, for casino gambling, and for fiscally irresponsible legislation, then you are a liberal. Sorry, Joe, you gotta go. Oh – one more thing. Each of the remaining 10 Republicans in the gang were awarded choice committee assignments by Strauss………. Like Averitt, Strauss and the rest of the Gang of 11 need to be replaced with solid conservatives that will not make deals with liberal Democrats. Look for Leo Berman, R-District 6, to challenge Strauss for leadership in the House. Who does and does not support him will be watched carefully for the 2012 election cycle. Unfortunately, with the state keeping up more with federal affairs this cycle, we will still have plenty of RINO’s in the Texas Legislature in the next session. A session that includes a huge budget shortfall, redistricting, border security, and another shot at Voter ID are all items at the top of a long and lengthy list. With a current 2 seat majority in the House that includes the Gang of 11, the Republican muscle is thin. There will need to be pick up of seats in the fall to ensure Texans are not saddled with tax increases in the next session. Could Strauss and the remainder of the Gang of 11 change stripes and salvage themselves? Maybe. If they do, they could be spared for the Big Hunt for 2012 – which I predict will be a huge focus on state politics. My guess is that old habits die-hard and that they will be big targets for 2012. Now is the time to start looking for candidates to challenge them. With the feds shredding the Constitution, states rights and nullification will only gain strength as key topics for Texans. In my opinion, Texas is behind the 8 ball on nullification and that is a direct reflection of the current make up of the Legislature. Arizona has started a firestorm with SB1070 that will spread and any Republican member of the Legislature that refuses to help secure the border might as well draft their political epitaph. The Great Texas RINO Hunt has begun. What target will you be aiming for? Just how methodical and determined have the liberals in the Democratic Party been? One need only to look at the destruction of Former Republican Speaker of the House Tom Delay. In the 2004 General Election, Delay helped then President George W Bush not only pick up seats in the US House, but was influential in the re-districting of Texas Congressional seats that ousted some long time Democrats. Most notably was Martin Frost in a loss to now NRCC Chairman Pete Sessions after district lines with the Delay Factor were re-drawn in 2003. Delay had also been influential in Texas State politics, helping the Republican Party re-gain the Texas House in 2002. Along with the head of George W Bush, the bust of Tom Delay was valued to be a major prize that the libs had to have. Enter Texas Democrat (or is that demagogue?) 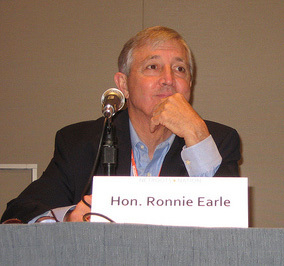 and royal lunatic Ronnie Earle, the former District Attorney for Travis County, Texas. Earle had a history of going after Republican politicians from the Lone Star State including current US Senator Kay Bailey Hutchinson. Earle has never had a successful prosecution of any politician and in the opinions of many legal experts committed continuous prosecutorial misconduct throughout his career. Have a good laugh and read more on this loon at http://en.wikipedia.org/wiki/Ronnie_Earle . Earle had Delay indicted accusing Delay’s Political Action Committee Texans For A Responsible Majority of accepting corporate contributions, prohibited by Texas law, and then laundering money through the Republican National Committee. Earle’s probe of the contributions began after 17 Republicans who received the committee’s funds were elected, giving the party control of the Texas House for the first time in 130 years in 2002. One year later the coup I mentioned earlier began, after DeLay and his political aides drafted one helluva road map, when the Texas House approved a sweeping reorganization of the state’s congressional district map meant to favor Republicans. Earle, being the good lap dog he is, had Delay indicted and the rest is history: Delay has to step down in disgrace amid unsubstantiated charges and the liberal takeover was on. Remember – the libs have been running the asylum since 2006. Now I am not stating Delay was perfect – he was far from it. He got the Republicans too cozy with K Street in DC and the spendcraze began on his watch. Delay also screwed up the re-districting with Pelosi’s favorite lap dog Chet Edwards, D-Waco, in the creation of CD-17. The new district drew from conservative districts in the north and south around now defunct CD-11 to knock out Edwards. The portion to the south included Bryan- College Station and Texas A&M. Only one problem – Edwards was an A&M grad and pulled out that Aggie ring in a heartbeat to endear the Maroon and White. To date, Chet Pelosi is still in office. However, Republican Bill Flores should sent Chet packing this time. Here is my summation: Six years to come up with zippo, nada, zilch on Delay. There is no telling how much money was spent on this waste of taxpayer dollars. The thought was that Delay’s use of now disgraced lobbyist Jack Abramoff was going to lead to evidence that would lead the Dems to the prosecutorial promised land. That never happened. While I realize the Republicans have also been guilty of these witch-hunts and are not getting a pass, just how stupid are the Dems looking right now when the Department of Justice cannot find anything to charge Delay with. Barry’s Boys can’t hang this Texan, who can?? Today I read where US Congressmen Chet Edward (D-Waco) was endorsed by the National Rifle Association. The NRA had already gotten under my skin a few weeks back when they cut a deal for the DISCLOSE Act. They sold out the First Amendment when they cut that deal and I should have cancelled my membership then. Edwards is no more a conservative than Jeanie Garofalo and his two personas (DC Chet and District 17 Chet) have finally been exposed since Barry O took office. To endorse Edwards over Republican Bill Flores is an outright insult. Edwards is the lap-dog of Nancy Pelosi and when the CD17 race is over and Flores wins, people will see the real damage Chet has done. I have literally grown up with guns, as has most of America. I had my first bb-gun at 8 years old and .22 at 10 years. I was then and still remain now an avid hunter and sportsman regarding the use of guns. My current preferred handgun is my Glock .40 semi automatic and I have a host of other guns. Growing up, my granddad was a member of the NRA for most of my youth. 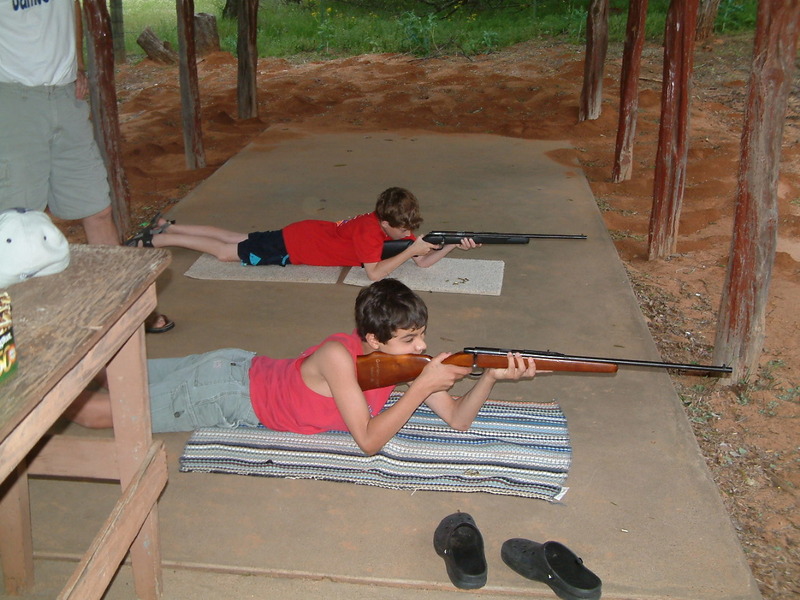 The summer I was 11 I remember him being irate over something the NRA had done, because he tore up his membership card. While he would not say what it was over specifically, and not that it would have made much sense at 11, I do remember him saying the NRA had betrayed gun owners. I tucked that memory away. I have never been big on joining organizations throughout my life and that is not always a good thing. Like most of conservative America, I have never felt threatened about my freedoms until that nimrod Obama came into power. When he did, I started re-thinking joining certain organizations to stay informed and help keep people out there protecting my interests. The NRA was an organiztion I had never joined. Not that I did not support what they stood for, I had just never thought about it. When Obama and the rest of his Marxist crew came in, suddenly I was reviewing the NRA charter. I also started looking into who they endorsed politically and began to understand what my granddad had said so many years ago. Without citing specific names, I found out the NRA was endorsing Democrats who had less than stellar 2nd Amendment track records and rhetoric. I swallowed some castor oil and sent in my membership. I cannot begin to explain the anger over the NRA sellout on the DISCLOSE Act and I darned near tore up the card then. Now that slime bag Edwards gets their endorsements as well as Democrat Reps Travis Childers of Mississippi and Rick Boucher of Virginia. There is even talk of an endorsement for that dirtbag Senator Harry Reid of Nevada. I understand the PAC game – keep everyone happy and hedge your bets. The NRA plays this game of endorsing scum in hopes of pro-gun votes in the future. I get that. What the NRA does not get is that liberal who may give them a pro-gun vote may also support other legislation that not only can outweigh the pro-gun vote, but their very existence in office is a threat to all freedoms. I realize no candidate is perfect on all conservative issues, but if they cannot pass the test on the conservative agenda (lower taxes, less government, strict interpretation of the US Constitution, capitalism, & protecting the unborn are baseline targets) at least 90 % of the time, then DO NOT SUPPORT OR ENDORSE THEM! Today on the NRA website, Executive VP Wayne La Pierre blasts the Senate on the confirmation of Elena Kagan. 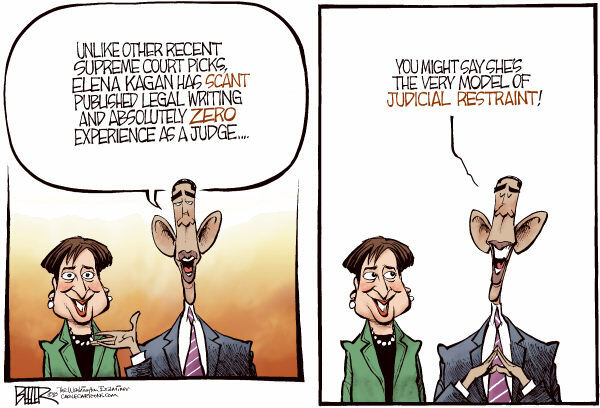 He also references the recent appointment of Sonia Sotomayor and how both these women are a threat the 2nd Amendment. While he is right about the threat, the real question is – how many Senate Dems voted these two commies in that the NRA has supported in the past? The answer would anger you. So has the NRA created its own monster in hedging its bets? You bet your sweet behind they have. It is time for tough love with the NRA much in tune as what is happening with the Republican National Committee. The RNC is starving for money and donors are saying “nada till you enforce the platform” and donating to individuals. Same thing needs to happen to the NRA – members need to stop renewing and send a written response of why to the NRA. If a large chunk non-renews that will get their attention. Gunowners of America (www.gunowners.org) does a good job on who they support. I will be joining their outfit and I suggest you do too. The dates of July 30, August 2, August 6, and August 9th are places stamped together in time. It was a 10 day period that saw success in secrecy, horrible bloodshed, and ultimately the end of a war. The year was 1945 and World War II was in the Allies favor, but not enough for either Germany or Japan to surrender. While the Third Reich was wearing thin, the absolute determination of Japan kept the Axis in the war. The US was considering how to invade Japan to end the war. The military brass knew invading Japan would be costly in lives on both sides and were searching for an outside solution. It would be the research yielded from Dr Robert Oppenheimer and the Manhattan Project that would ultimately produce a solution to an invasion of Japan and catapult the US, and the rest of the world, into the Atomic Age. 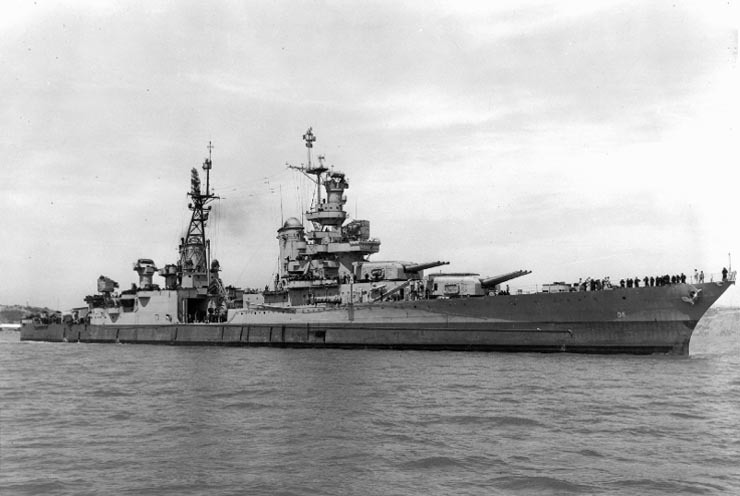 The USS Indianapolis was commissioned to deliver the first operational atomic bomb to the island of Tinian in the Pacific. She did so on July 26, 1945 and then reported to the Commander-in-Chief of the Pacific Fleet in Guam for new orders. She was then ordered to join the USS Idaho in the Philippines and await the invasion of Japan. According to Naval records, Captain Charles B McVay, III did not follow prescribed zigzagging that was to be done when visibility and information regarding enemy submarines required him to do so. A Court Martial performed in December 1945 believed that this decision left the Indianapolis exposed and led to the sinking of the ship by the Japanese submarine I-58. When the Indianapolis sank, she had a crew of 1196 on board. Only 900 survived the blast to enter into the water. The ship sank around midnight on July 30, 1945 and according to survivor accounts, shark attacks began on the sailors the next morning. The accounts of the sailors that survived is well documented and more detailed than will be found in this writing. The Indianapolis sank in twelve minutes and without a distress call, thus no one knew she was gone. On August 2, 1945 Lt Wilber Gwinn was piloting his Lockheed PV-1 Ventura bomber on a routine mission when he discovered many men in the water. He communicated this to the commander of the USS Cecil Doyle come to aid of the ship and the navy dispatched a seaplane under the command of Lt. Adrian Marks. 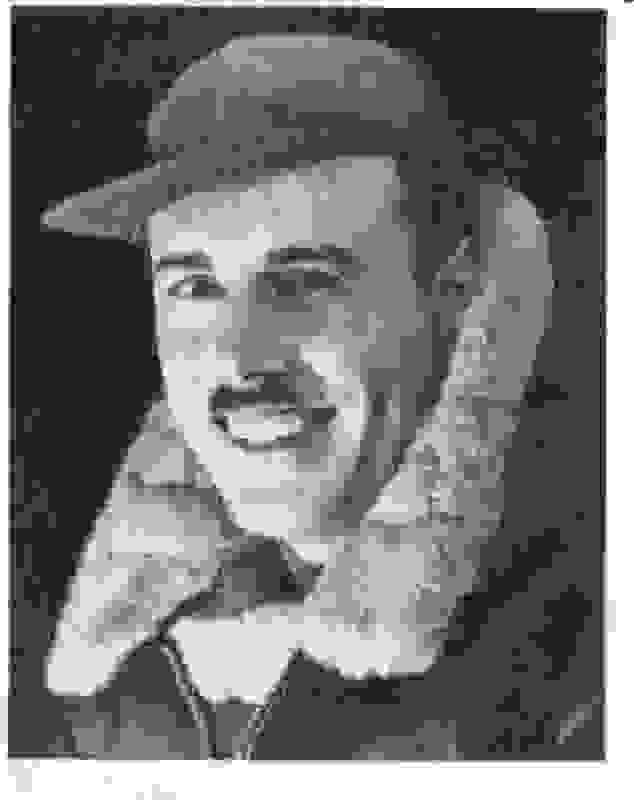 Marks overflew the Doyle en route to the Indianapolis and arrived hours before the Doyle. Marks saw the carnage occurring with the sharks and, disobeying orders, landed the aircraft where he could to save the men until help could arrive. Marks had men packed in the cabin and even strapped to the wings to get men out of the water. In all, Marks rescued 56 men. Marks was a true Patriot and hero. He passed on March 15, 1998 at the age of 81. Of the 900 men that went into the water midnight July 30, 1945, only 317 would come out of the water. The disaster is still the worst in naval history. The Indianapolis’ payload delivered the bombs that would be dropped on Hiroshima on August 6, 1945 and on Nagasaki on August 9, 1945. Those bombs killed well over 100,000 Japanese and caused their surrender and ended World War II. While the US became the first country to use the atomic bomb and usher in a new era of weapons and war, there is little question that lives were saved in the use of the bomb. The dates of the bombs that were dropped on Hiroshima and Nagasaki have high visibility and publicity surrounding them and rightfully so. It was a terrible thing to have happened and should always be the reference point for any future considerations for the use of nuclear weapons. However, the story of the USS Indianapolis is every bit as terrible and tragic. She was in harm’s way to fulfill her mission that ended the war and Japan sank her with terrible repercussions. It was 10 days that changed history.